Understanding consensual living as my family practices it requires a paradigm shift. There is a lot of emphasis in most parenting books and websites on making children do what we want. Even many so-called gentle discipline techniques are still about finding ways to control children. Consensual living is about living peacefully with each other and working together to find solutions that satisfy everyone involved while still allowing for individual autonomy and dignity. However, the term consensual living itself can be confusing. I think I should explain what it means to me personally when I use the term. I like this definition from consensual-living.com. I especially like the line about assigning positive intent. Instead of going into a situation with an adversarial attitude, which can set you up for power struggles and arguments, you go in with the assumption that all parties want to find a solution that makes everyone happy. It is about parenting who your child is now, rather than who you want your child to be. A creative solution for a tub temporarily out of use. Consensual living means honoring each person as an individual with her own needs and wants, and not implying that any one person is more important because they are older, bigger, or make more money. It means being creative and looking at a situation from another point of view. Conversely, it means the parent’s needs are taken into account too. It is not a child-centered way of living; it is family centered. This is very important. I think part of the reason consensual living often gets mixed up with passive parenting or child-led living is because it is sometimes easy to forget that my needs are just as important as theirs (taking into account the age of the child of course)! If I’m always giving in to my needs for them, then it is not consensual and is a good way to start feeling like a martyr mom and create resentment. And of course, I do have more life experience than them and it’s unrealistic to expect that they can or should make all their own decisions with no help or input from me. It is a big leap of faith, or rather trust, that a mutually agreeable solution is always possible. In theory we might even agree, but when developmental stages come into play and we have a toddler being extremely forthright about their needs at the expense of everyone else’s, it is a lot harder. We need to take a deep breath, jump, and be creative. Trust that other people have input which is just as useful as yours, experience that is just as relevant to the situation, which is after all being created by everyone together. Letting go of the attitude of having to be in control, and of having to be right (while not losing the responsibility for the physical safety of the younger ones) frees a tremendous amount of energy for joy, connection and finding solutions. If you’re interested in consensual living but not sure where to start, a great resource is the Yahoo group. There you can search the archives and read through the resources. If you have specific areas you need help with, you can post on the list for ideas. It is not a support group, but a place where they will try to help you shift your thinking and come up with ideas on how to find solutions that might work for your specific family and situation. Lindsay is a stay-at-home mom to two daughters and wife to a wonderful husband and they just fulfilled a dream by moving on to a homestead. 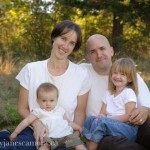 She blogs at Living in Harmony about homesteading, life learning (aka unschooling), and day-to-day life. She enjoys scrap booking, photography, anything musical, and, of course, seeing the world fresh through her children’s eyes. Thanks Lindsay for this enlightening article I love the idea that we can assume our children want to find a solution that makes everyone happy as well as ourselves and how consensual living is so inclusive of all. It follows the idea of Non Violent Communication which I love! Thank you for demystifying this idea. You make it all so simple and clear. I love that “it is about parenting who your child is now, rather than who you want your child to be.” That is such an important thing to keep in mind as parents who strive to be respectful and gentle. I appreciate the extension to ourselves as well – I frequently forget to respect my own need, though I’m getting better about it. I need reminders like this to fight the ridiculous mommy guilt than can creep in when I have to assert myself to have a need met. I love that you differentiated between consensual living and child-centered living. A parent’s needs are valid and important too. Thanks for putting this in such clear and simple terms, Lindsay. I strive toward consensual living, but it does not come naturally to my husband or me, as it is not how we were raised. I find Rosenburg’s “Nonviolent Communication” very helpful!